Trying to undo the most common financial mistakes made by people in professional careers... I've made all of them! This is my blog about how I am trying to set things right and helping you to do the same, or avoid those mistakes altogether. Paying off debt, property investing and heading towards a goal of Financial Independence. What is retirement? Changing your perspective through property investing. This is the first post in a series I will write about my journey into property investing. I currently have two investment properties, plus the home I live in with my family. If you have read Rich Dad, Poor Dad, you will know that the home you live in is not an investment! So I don't count that. In later posts I will go into all the details of how and why we bought the properties we did, what we did to them and how they are performing, together with all the ups and downs we have faced along the way. For now, let me set the scene. Having decided we wanted to invest in property to generate additional income, my wife and I set about considering how we could achieve that. As usual, we wanted to do it now, not wait and save up until we could afford to do it in the future! We borrowed a lump sum against our home, which had some equity available to be re-mortgaged. Then we used that lump sum to buy our first investment property together. Savings Rate vs. Spending Rate? 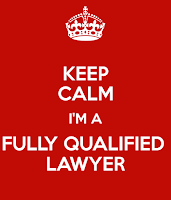 When I made the decision to go to uni and study law, I had visions of myself as a qualified lawyer earning enough to be able to live the lifestyle I wanted, beyond what my parents were able to. I was aiming for the next level. My parents worked hard to move from working class to what is now referred to as entry-level-middle-class. I wanted to shoot for more. I indulged in that fantasy for far too long before reality finally struck me... that I simply couldn't afford the lifestyle I had been living if I ever wanted some sense of financial security. Why am I seeking Financial Independence? Well, I expect it's pretty obvious why anyone would want to be financially independent ... not having to worry about working for your income, being able to do what you want, when you want, etc. But this post is more personal. I wanted to write about why I particularly want to shoot for FI and I think that might resonate with a lot of other professionals in particular. I've reached the point where I realise that my income, although at an ok level, is never going to get me to FI if I don't change my spending and money habits. I will write about habits and mindset in another post but for now that is what first got me thinking about a change.